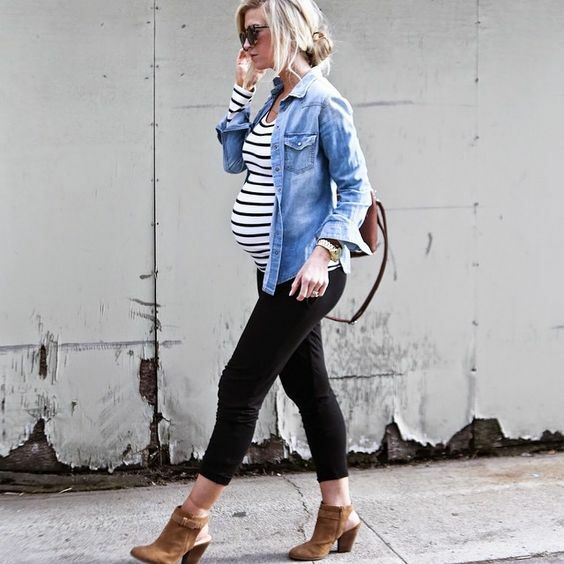 My maternity style so far has been pretty casual - and one thing is for sure, I just want to be comfortable! As your body grows and expands in areas that have never been that round, it can been odd feeling and uncomfortable at times, so the last thing I want to do is wear something just because it is cute or stylish. However, just because I want to be comfy, doesn't mean I have to sacrifice my personal style either! I came across the pin above and loved the look - mainly because it looks like something I would have worn prior to being pregnant too. I search around the internet (and my closet) and managed to re-create the look using a few items I already had and a few new things. This looks is another I stumbled upon and loved - and it is perfect for winter! I picked up a pair of Blanqi maternity leggings after hearing such good things about them, and I have to say - I am probably going to live in them. They are expensive, but TOTALLY worth the price tag. Most comfortable thing ever. I might just have to go ahead an pick up one of their white tank tops too! The final look I've been trying to re-create is for when the weather warms up a bit. 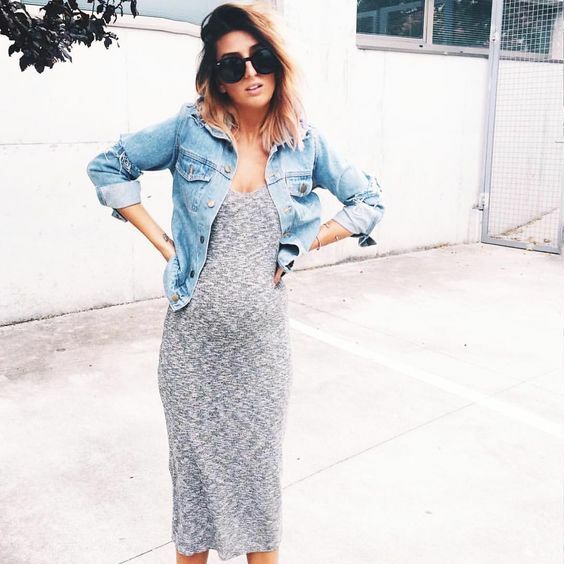 I love jean jackets, and this looks like such the perfect spring time maternity outfit! Now, I just need to get my hands on a grey midi dress. All of these looks are so cute and seem like great comfortable options! Definitely can see you rocking all of these options and love that they look comfortable/practical too! I love all of these looks! When I was pregnant I liked to try to use current items I had and represent my same style as well. Comfy is definitely the way to go!